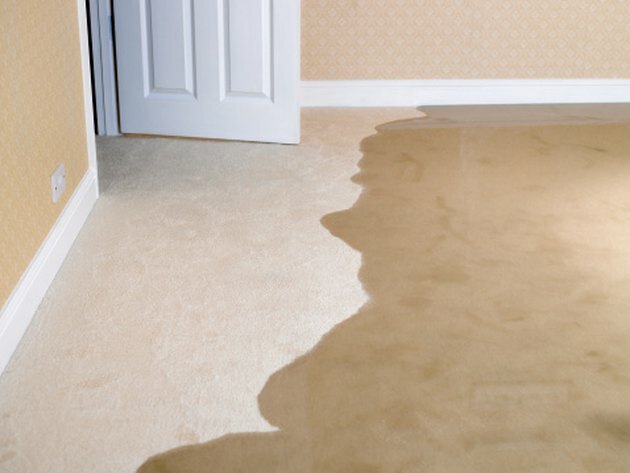 Water is a quiet, damaging element in a home. If your home's exterior walls are not waterproofed, you can face damage from invading moisture. Damp walls are excellent breeding grounds for mildew and mold, which can damage the home and lead to health problems for occupants. With proper waterproofing of a home's exterior walls, however, such damage can be avoided. Products are available to let you do the work of waterproofing the exterior of your home yourself. Strip the finish from the concrete portion of your exterior wall using paint stripper or by hiring a professional to remove the finish. You must expose the bare concrete in order to allow the waterproofing product to penetrate and protect the wall. Wash the wall with the power washer and a mild detergent to remove all residue of the chemicals that were used to strip the wall. Patch any cracks in the concrete larger than the size your waterproofing product will effectively seal. Use a trowel and concrete filler to fill the cracks, leveling the filler so that it is flush with the existing wall. Allow the filler to dry thoroughly before proceeding to the next step. Sandblast the wall or brush it with the wire hand brush until it is rough to the touch. A rough texture is required to allow the product to "grip" the surface. Rinse the wall thoroughly with the power washer or hose to remove any debris. If indicated by the manufacturer, keep the wall moist during the application of the waterproofing sealant. Apply the waterproofing sealant to the wall with a brush or roller. Make sure you apply enough product to thoroughly coat the wall despite the rough texture. If more than one coat is indicated, allow the wall to dry before applying the second coat.